Alen Omic will part ways with Buducnost Voli and Olimpia Milano has shown big interest. 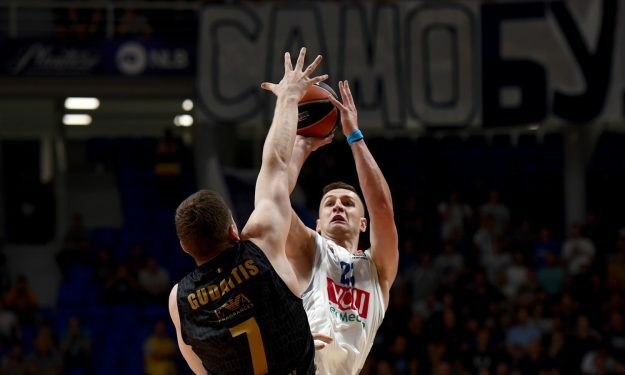 Alen Omic will most likely part ways with Buducnost Voli and join Olimpia Milano, according to Vijesti which got the confirmation from the club’s president Dragan Bokan. Bokan explained that this is an offer Buducnost can’t refuse: “That’s the biggest offer for one of our players since Dubljevic (Bojan) moved to Valencia (2012). It’s not over yet, we are talking about the transfer.” One of the reasons Milano is searching for a center is due to the recent thumb injury of Kaleb Tarczewski. Although the 26-year-old center extended the contract with the club for the remainder of the 2018-19 season, the arrival of new head coach Jasmin Repesa in place of Aleksandar Dzikic will no doubt bring a lot of changes and the Slovenian center seems to be the first one. Omic played 15 games in EuroLeague averaging 8.9 points, 4.7 rebounds and 1.1 assists, while in ABA League he posted 6.2 points, 5.3 rebounds and 1.5 assists per game. However, it should be also noted that he lost a spot in the starting lineup and playing minutes as Goga Bitadze joined the squad. Buducnost and Olimpia Milano will clash already on Thursday (4/1) in Round 16 of Turkish Airlines EuroLeague and Omic will be eligible to play as long as the transfer is made on time.